Le Sereno is at Grand Cul-de-Sac on the east coast of St Barthélemy (St Barts), a Caribbean island in the French West Indies. The hotel is 15 minutes by car from Gustav III Airport, which accommodates transfers from Princess Juliana International Airport on St Maarten, a 10-minute flight away. In your Villa du Pêcheur at Le Sereno, you remember that the best things in life are about simplicity. Take these 900 sq. ft. lodgings, whose spacious front deck opens onto a private swimming pool and the palm-tree-shaded curve of Grand Cul-de-Sac beach. The modern décor - by renowned French designer Christian Liaigre - is sophisticated yet unfussed, much like the island of St. Barts itself. The same esthetic governs all of Le Sereno's recently refreshed 39 rooms and suites, whose bathrooms feature exotic wood cabinetry and granite sinks. Suites comes with a private pool, while every accommodation offers 24-hour room service. And speaking of room service, make time for an in-suite spa treatment courtesy of local therapists. Depending on your appetite, special spa "menus" can keep you blissed out for days. You'll also want to dally at the casually elegant restaurant and beach lounge, which specializes in fresh and simply prepared fish dishes. Relaxation also comes easy at Le Sereno thanks to the presence of a number of complimentary amenities like non-motorized watersports, airport transfers to St Barths Airport and WiFi Internet. Send an availability request with your requested dates to the Le Sereno. Features a King or Twin bed, garden/pool view and a granite sink. Features a King bed, private terrace, rain shower and location right on the ocean. 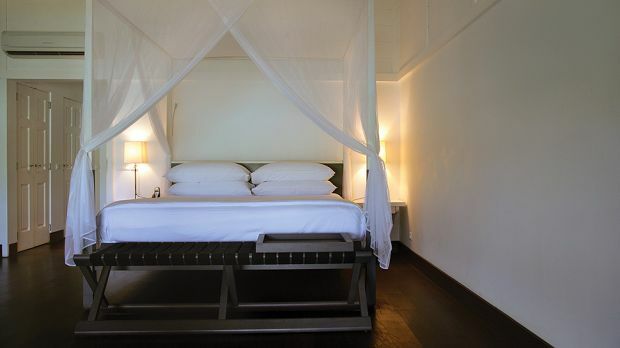 Features a King bed, ocean view, private terrace, spacious living area, rain shower and granite sink. 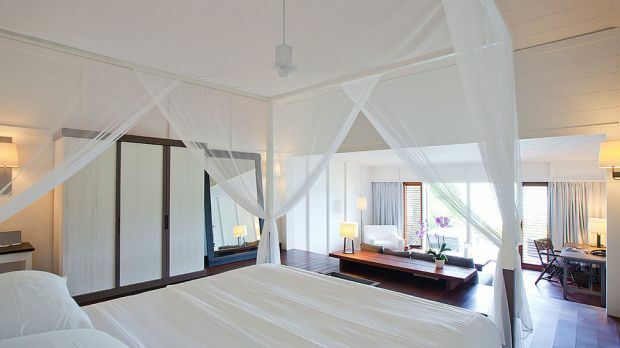 Features a King bed, beachfront location, private pool, garden, large outdoor deck, day bed and private dining table. Features a large living area, full kitchen, library, private pool and 2.5 bathrooms.